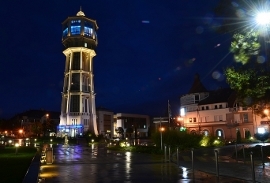 Sarvar is a very nice place at the West Part of Hungary. Lots of nice opportunities for tourists: A nice Spa, Botanical garden, beautiful lakes, Raba river, forests, a nice Castle, horse riding possibilities all this in a moderate sized city meaning peaceful atmosphere with not so much travelling. The Castle of Sarvar can be found in a beautiful Park in the city center. The castle was built in the end of 13th century. The Nadasdy Ferenc museum can be found inside the Castle walls, who was the owner of the castle. 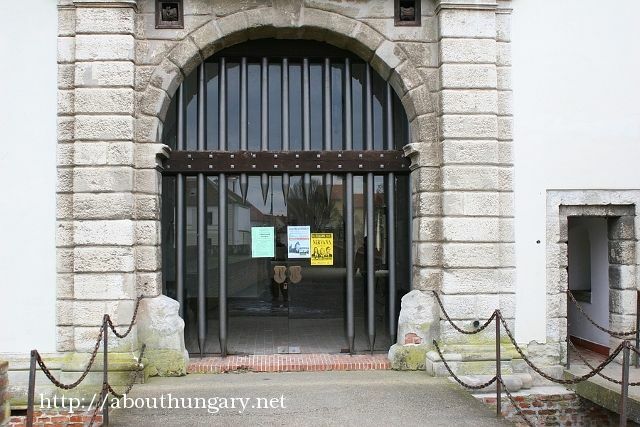 The museum has 1300m2 exhibition area about the Hungarian “Huszars” history between 1526-1945, history of Sarvar, Carta Hungarica map history exhibition, Industrial Arts exhibition, and book printing history of Sarvar. The castle has been built outside Renaissance inside Baroque style. Sarvar means if I translate word by word “Mud fortress, or Mud Castle”. In the middle ages it was common to make fortresses all over the country to protect the country from the enemy. Hungary was invaded by the Tatars in 13th century after the Turks in the 16th century for instance. The Turks occupied Hungary for 1.5 centuries. The naturally best location of such fortresses are hilltops on cliffs or places where it is more easy to defend the fortress in case of an attack. These Fortresses are usually built from stone which was there at abundant measures. At some places though there are no hilltops or hills at all, and stone neither. 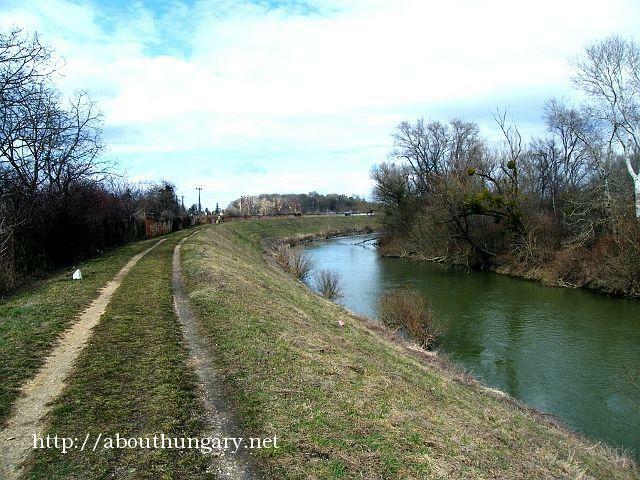 Such places in Hungary it was common to made Fortresses from mud and tree branches or reeds. 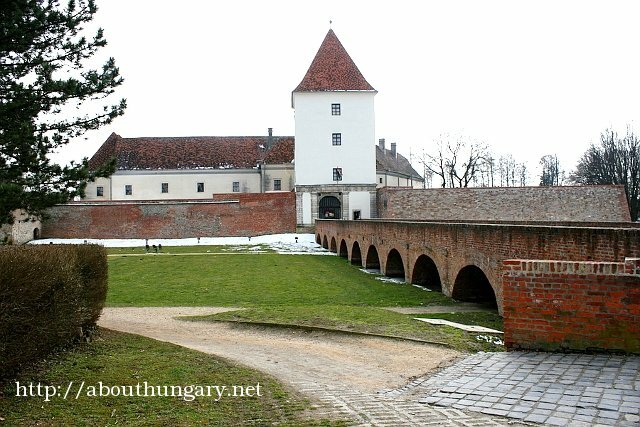 The Sarvar Castle today is not such a Fortress, and as far as I no there are no such fortress can be seen today in Hungary. The Sarvar Castle is made from brick but in the past it was a mud Fortress this is where the name can come from. The Sarvar Castle was made in the 13th century, and after it was renovated and made it stronger many times. There were many owner of this Castle, first the King of Hungary, after it had several owners, and in the 16th century mostly the Nadasdy family was the owner of the Castle. After the execution of Ferenc Nadasdy (1671) the Vienna Treasury become the owner of the Castle. Later Miklos Draskovich the husband of Krisztina Nadasdy bought the Castle back. 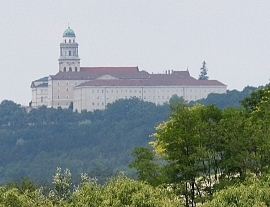 After there were several other owners of the Castle included Merchants from Genova, Ferdinand Este the Prince of Modena, and the Bavarian Royal family were the Owners of the Castle until 1945. The size and the areas of the Castle are changed constantly during the years. According to the latest investigations Hans Rudolf Miller made pictures of battles on the ceilings. Ferenc Nadasdy the “Black bey” was a big fighter against the Turks. The weapons of this times are can be seen in the Museum. 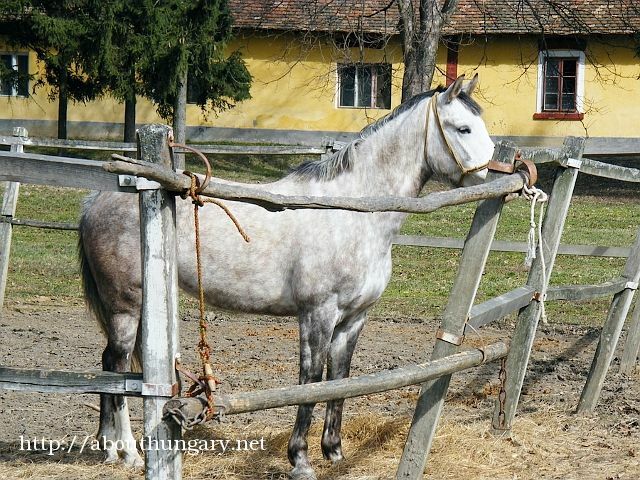 The “Huszar” (Hussar) was the Hungarian soldier on the horse in the 15-16 century. In the museum the usual weapons and armor can be seen of these soldiers. 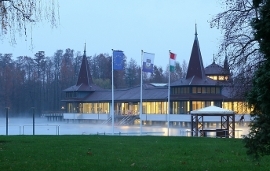 is also very famous in Hungary, they organize lots of musical and other programs in the spa also in day and nighttime. Sarvar is one of most popular Spas in Hungary, where there are more than 100 Spas around the country. The Sarvar spa has 16 pools, it is a bigger sized bath in Hungary. 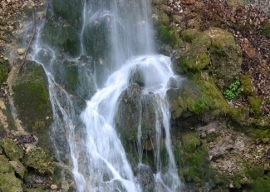 The Sarvar thermal water is a medical water, and there is even two types of thermal water here. The two kinds of water comes from different depths, one of them comes from 1200m depth, the other is from 2000m depth. One of the waters are more salty, other has iodine in it with several other minerals. 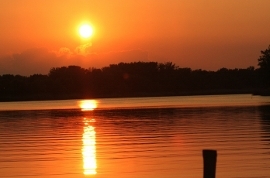 Sarvar has a beautiful botanical garden with several smaller lakes or ponds, and lots of flowers and plants. The Sarvar area covered with lots of forests. Good possibility for people like to be in the nature, and wants to be away from the crowd of the city. 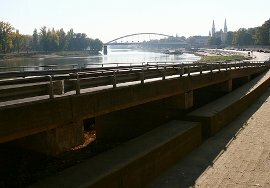 The Raba river is a river which goes to Gyor as well, and joins the river Danube. The areas around the river in Sarvar is quite nice to have a walk. Horse riding is also possible in Sarvar. If you never rode it is possible to learn horse riding as well, but if you experienced you have an excellent possibility to ride in a forest in beautiful natural surrounding. 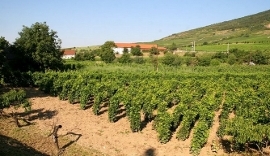 Location: 9600 Sárvár, Vadkert krt. 5. Location: 9600 Sárvár, Rákóczi utca 1. 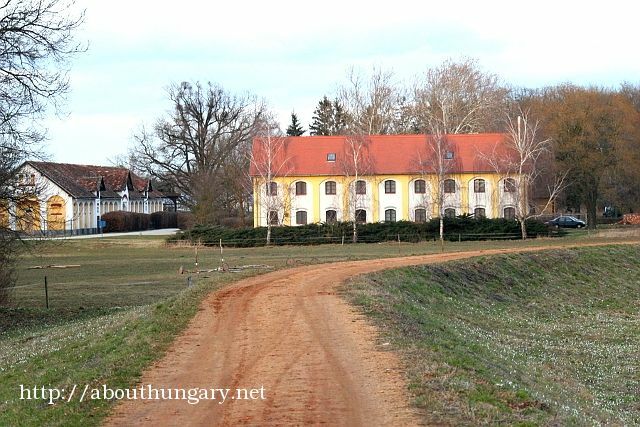 Location: 9600 Sárvár, Vadkert u. 1. 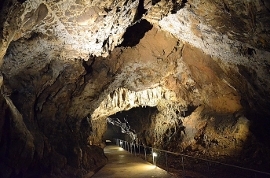 Location: 9600 Sárvár, Deák Ferenc u. 6. Location: 9600 Sárvár, Fekete-híd út 126. Location: 9600 Sárvár, Alkotmány u. 4. Location: 9600 Sárvár, Rákóczi u. 46/A. Location: 9600 Sárvár, Vadkert u. 4. Location: 9600 Sárvár, Medgyessy F. u. 20. 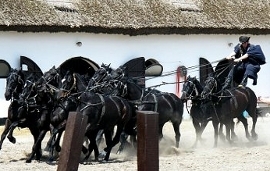 Location: 9600 Sárvár, Hunyadi u. 23. Location: 9600 Sárvár, Rákóczi Ferenc utca 57. Location: 9600 Sárvár, Fekete-híd utca 17.